Latif Rice is one of the leading processors, millers, suppliers and exporters of the finest quality Pakistani rice. We export rice in all broken percentages, different Polishing (regular polish, double polish, silky polish etc. ), well cleaned, extra-well milled, sortexed and different grain lengths ranging from 5.5mm to 8.2 mm AGL (average grain length).All basmati and non-basmati varieties together with parboiled (sella) basmati rice are also available for supply in bulk quantities. 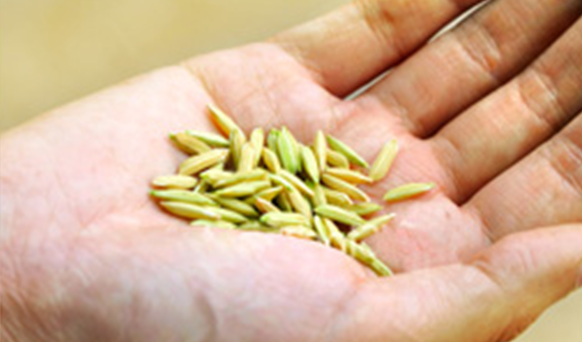 Latif Rice buys paddy directly from the farmers on pre-announced specifications. Apart from prompt payments Latif Rice Mill also offers to the farmers a premium over the prevailing market prices for adherence to LRM specifications. 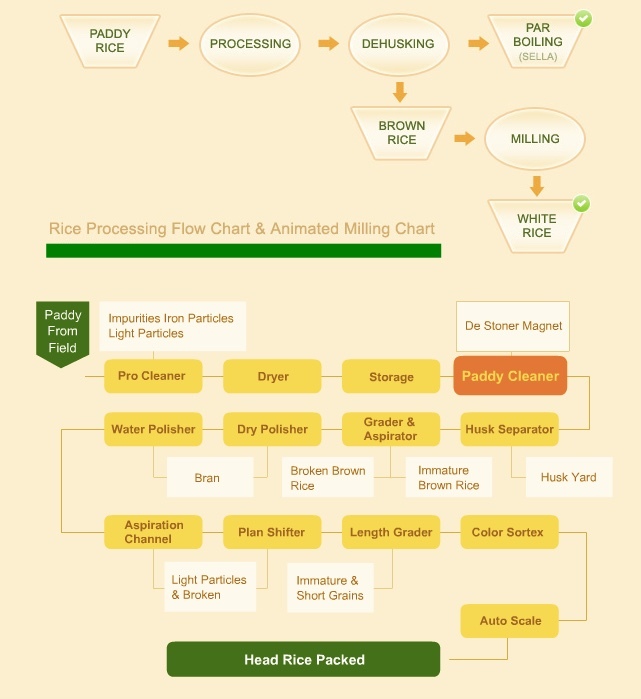 Selection of paddy is a process where a rice mill needs to devote most of its energies, expertise and time. Quality of final product largely depends upon the paddy procured. Many rice mills avoid to indulge in such a laborious process and purchase semi-processed rice from brokers instead of paddy from farmers. Unfortunately, this cannot be done without compromising on quality.On arrival at the Mill Gate, samples are drawn from each & every bag by trained samplers. After going through a Preliminary Test Check of quality by our highly experienced Paddy Selectors, the selected samples are sent to our Quality Assurance Laboratory, for detailed testing & analysis. Before start of milling, the paddy is once again cleaned in the mill house to ensure total elimination of any left over impurities by the pre-cleaning plant. To avoid breakage and damage to the delicate basmati grains Buhler’s Special Rubber Roll Hullers are employed in stages to separate brown rice from husk which is blown out by aspirators and any left over paddy grains in the brown rice are separated by Buhler table separators and brown rice is further screened by special width graders to remove unhealthy shriveled and green grains. The brown rice is than subjected to polishing operation. Latif Rice Mill employs three different sets of most sophisticated polishing machines namely vertical abrasive polishers (DSRDs), silky (wet) polishers (BSPCs) & dry friction polishers (DSRLs), in stages to attain any degree of polishing & silkiness as desired by our valued customers. Our latest DSRS whiteness controllers are installed in the polishing lines to indicate degree of polishing of rice being processed to enable our millers to exercise proper control over milling operation in line with our customer’s requirement. Double polished/silky rice is than passed through our latest Plan Sifters and series of Length Graders (Indented Cylinders) to separate small, medium & large broken from the Head Rice which are collected in separate Bins through Auto Scales indicating the weight of each By-Product being produced. Finally the double polished/Silky Head Rice is than led into three color sorting Machines to remove all damaged yellow & discolored grain. The Export Quality Sorted Rice is first collected in totally enclosed Rice Bins & is packed into bags through our automatic Gross Weigher for dispatches to our valued customers.